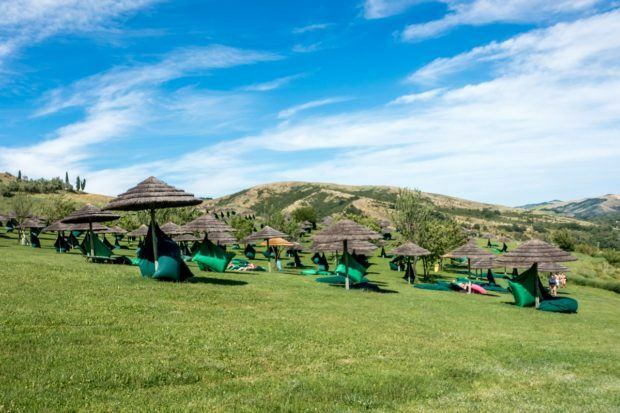 Imagine the most fabulous photo you’ve ever seen of the Italian countryside–deep shades of green wrapping the rolling hills, bright blue sky, the palpable feeling of summer and relaxation. Then, add a series of pools to those hillsides where, from any point, you can gaze out across the land and lose yourself in the serenity. This place is real. It’s Villaggio della Salute Piu. 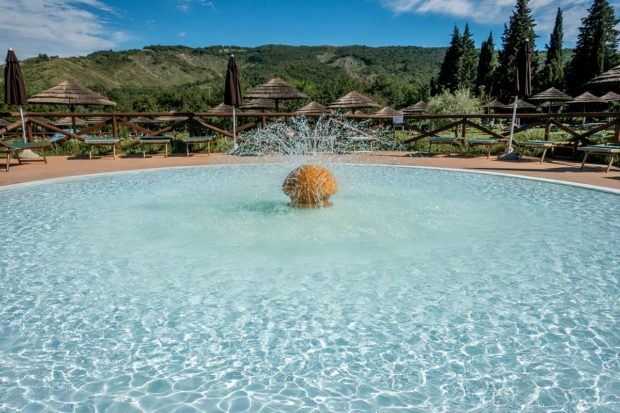 If there were anything that could enhance the amazing food, natural beauty, and history of Emilia-Romagna, the only way to do it would be with hot springs. Several years ago, we visited the hot springs at Saturnia a few hours away in central Italy. 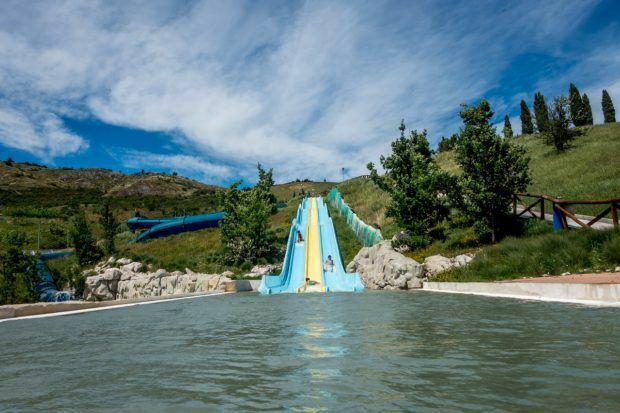 That visit cemented our love of Italian springs, so we were excited to see what Villaggio della Salute Piu’s acquapark had to offer. It exceeded all expectations. 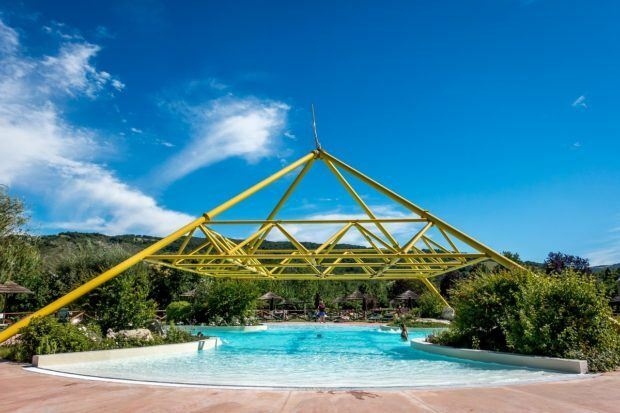 From the moment we arrived at Villaggio della Salute Piu, the pools were calling to us. 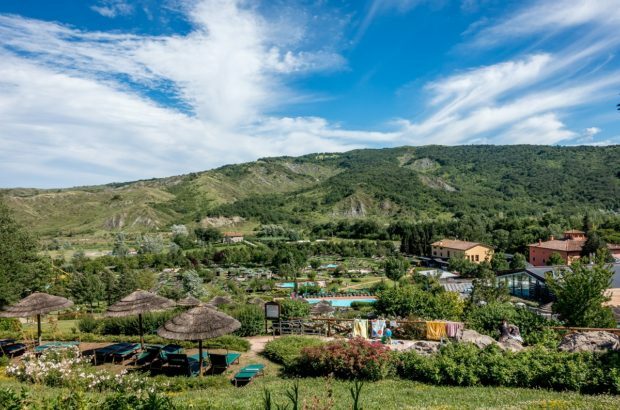 More than a dozen of them–plus slides, fountains, and other facilities–lace the hillside just 15 kilometers from Castel San Pietro Terme. We spent a little while indulging in some of the house beer and dishes from the property’s restaurant. We also walked around to see Villaggio della Salute Piu’s accommodations (you never have to leave this paradise!) and special features like their salt spas. But we couldn’t hold out for long — we were itching to try out the pools. 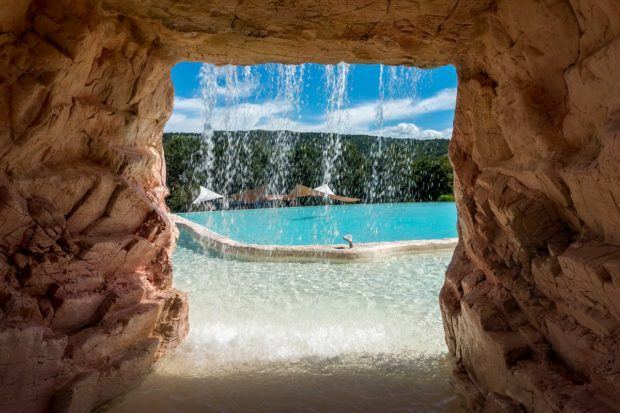 In all, there are 22 pools on the property. Most of them are outdoors and have minerals that promote a certain kind of wellness. There’s the anti-aging pool, the anti-cellulite pool, the pool with the special foot massagers, and many others. There’s something to love about every one of them. In between soakings, you can have a spa treatment, visit the Turkish bath, or do something else equally indulgent. We visited during an early summer day, so while not cold, the outdoor pools were just a bit cool for our hot-water-loving selves. But then we came to the indoor oasis — two toasty pools heated almost hot tub-style. 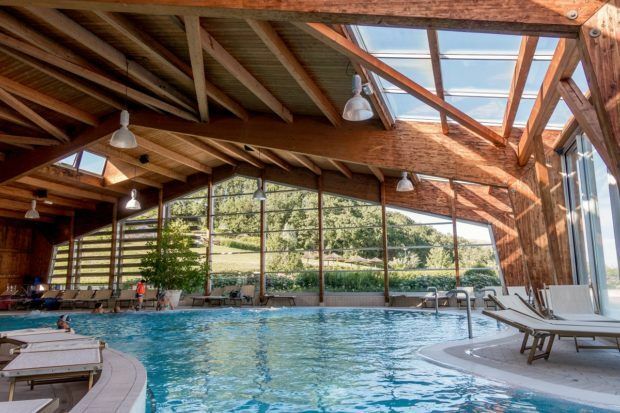 Although the two warmest pools are indoors, we still got to enjoy the beauty of the countryside thanks to the huge picture windows surrounding us. Luxuriating in the awesome 37C (99F) water while watching the sun start to set over the hills outside was absolute perfection. Location: Villaggio della Salute Più is located at 27 Via Sillaro in Monterenzio, Italy. 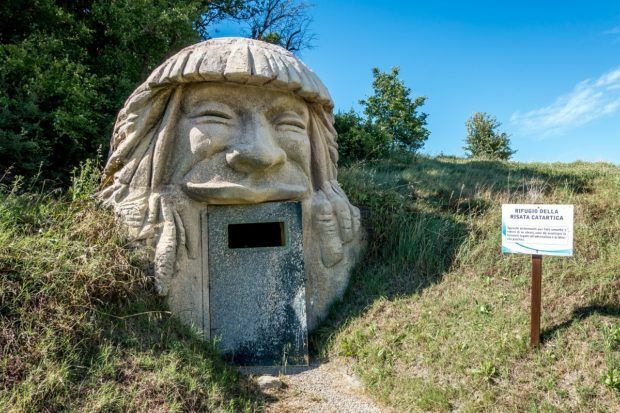 It is 15 kilometers from Castel San Pietro Terme and 50 kilometers from Bologna. Opening: The spa center (including the warm indoor pools) is open year-round. 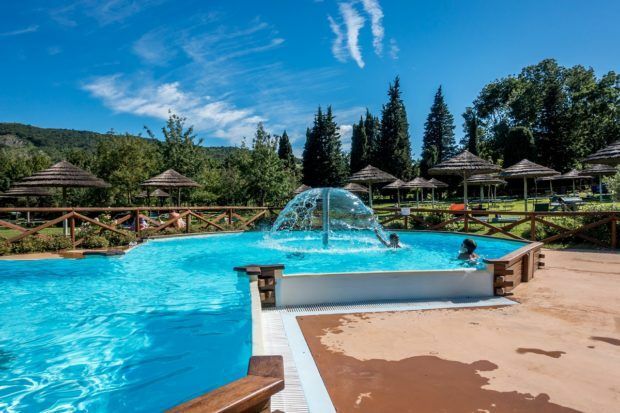 The outdoor pools of the acquapark are open May through September. We were the guests of the spa as part of the Blogville project in coordination with the Emilia-Romagna Tourism Board and iambassador. All opinions of the relaxing and picture-perfect are our own. What do you think about Heaven on the Hillside — A Perfect Spa Day in Italy? These are really nice photos you took. Anyone could really start to imagine that relaxing feel at the spa while admiring the view of the rolling hills and countryside. Quite a paradise in Italy.